Many of us would be relieved if God had placed our sanctification in the hands of trained professionals, but that simply is not the biblical model. God’s plan is that through the faithful ministry of every part, the whole body will grow to maturity in Christ. "When our gaze awakens to the gaze of God, we have started to see. Seeing clearly, we can love well." Seeing with New Eyes is a collection of essays written over almost twenty years by a respected biblical counselor. David Powlison’s articles are Bible exposition, topical essay, editorial, and sermon. All of them show God’s gracious self-revelation in Jesus Christ and Scripture. 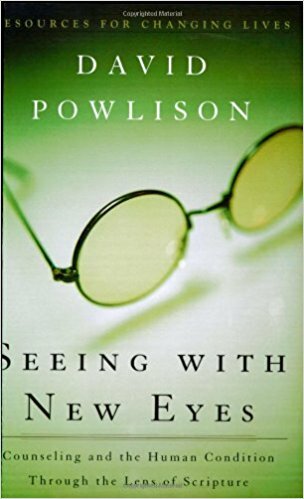 "We learn to see how God sees," writes Powlison. "Learning the gaze of God, we come to weigh life aright. We discern good and evil, fair and foul, lovely and degraded. We become able to pry apart true from false, instead of living in a murk of half-truths and flat lies.